Pladis, the UK-based snacks group, has added to its range of McVitie's products on sale in the UK with the launch of "cake bites" sold in tubs. The company said it was targeting consumers looking for snacks in the evenings. Claire Hooper, marketing manager at McVitie's, said "the mini phenomenon continues to become increasingly popular amongst consumers". Three products - one using the McVitie's Digestives biscuit brand and another using the Hobnobs line - have been developed. The tubs have a recommended retail price of GBP2.50. 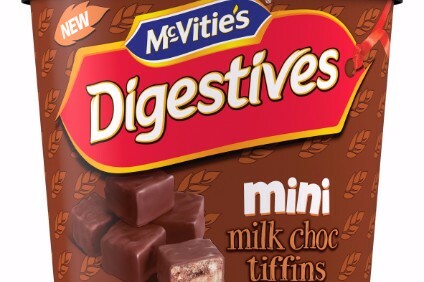 The McVitie's range in the UK already includes the Nibbles sharing bags of snacks, which were launched last year. Last month, Pladis added to the McVitie's line-up with the launch of McVitie's Digestives Thins, a "thin and light biscuit with a delicate crisp" aimed at attracting "younger consumers". In October, Cem Karakas, Pladis's CEO, told just-food the company was increasing its investment in order to grow sales in the global chocolate and biscuit categories.